One of the most technical rope bags ever, the Hansen rope bag was designed by technical guru, Doug Hansen. The Hansen was designed specifically for the needs of Search and Rescue teams, cavers, or any situation where rope management for rappel ropes is vital. Wear the bag and rope as a backpack during your rappel for tangle and damage free rope work. Great for route cleaning work. 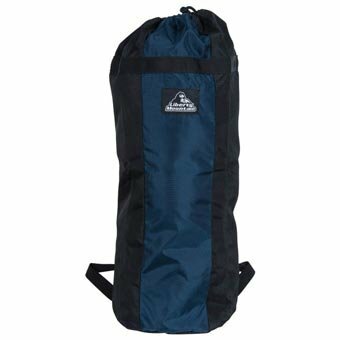 Also makes a great throw bag for fast rappel set up. Holds up to 60 m of 11 mm rope. Features webbing shoulder straps, haul loop, and internal tie-in loop. Assorted colors.